The MTC HC-90 Mobile Fuel Polishing System is designed to efficiently and safely clean and restore fuel to pristine condition. 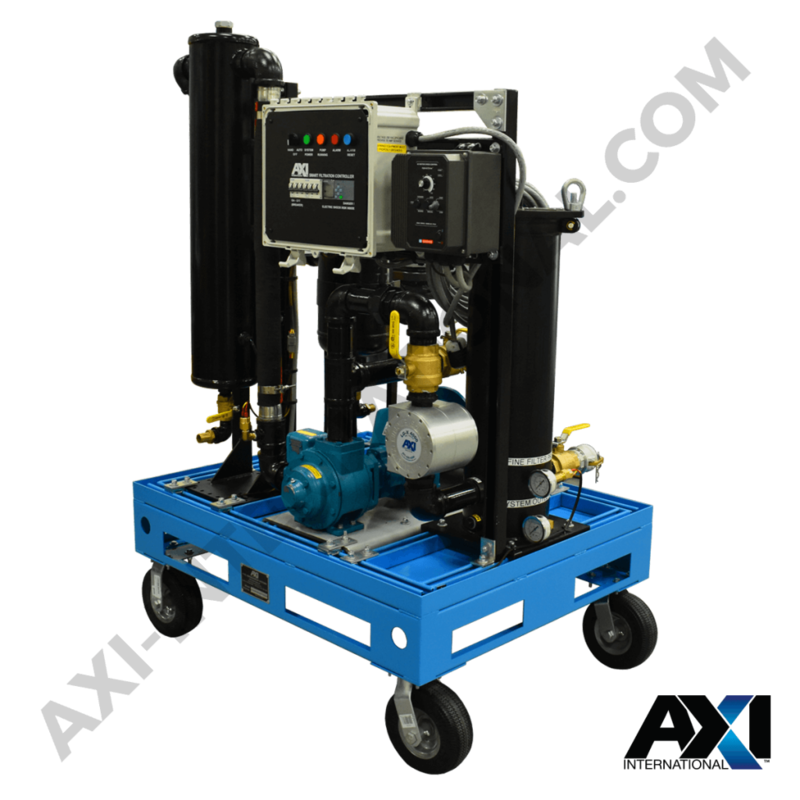 The MTC HC-90 incorporates a multi-stage filtration process that reconditions, stabilizes and decontaminates diesel, biofuels, light oils and hydraulic fluids. The MTC HC-90 Mobile Fuel Polishing System is designed to efficiently and safely clean and restore fuel to pristine condition. 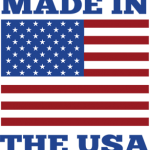 The MTC HC-90 incorporates a multi-stage filtration process that reconditions, stabilizes and decontaminates diesel, biofuels, light oils and hydraulic fluids. 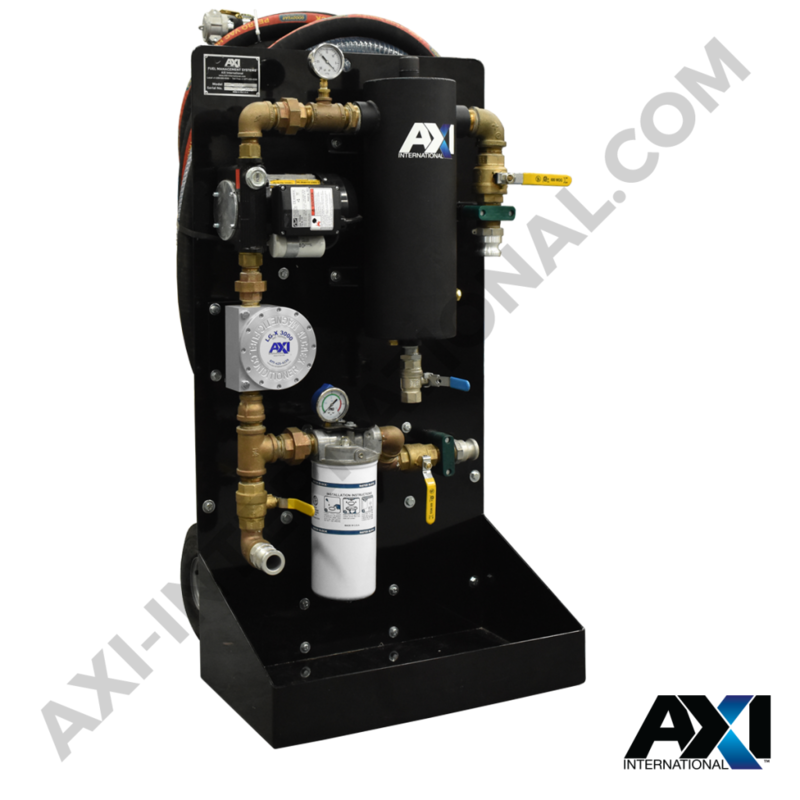 All MTC HC-90 systems are specifically designed for tanks with contaminated fuel that require the removal of water, sediment, and sludge accumulation. 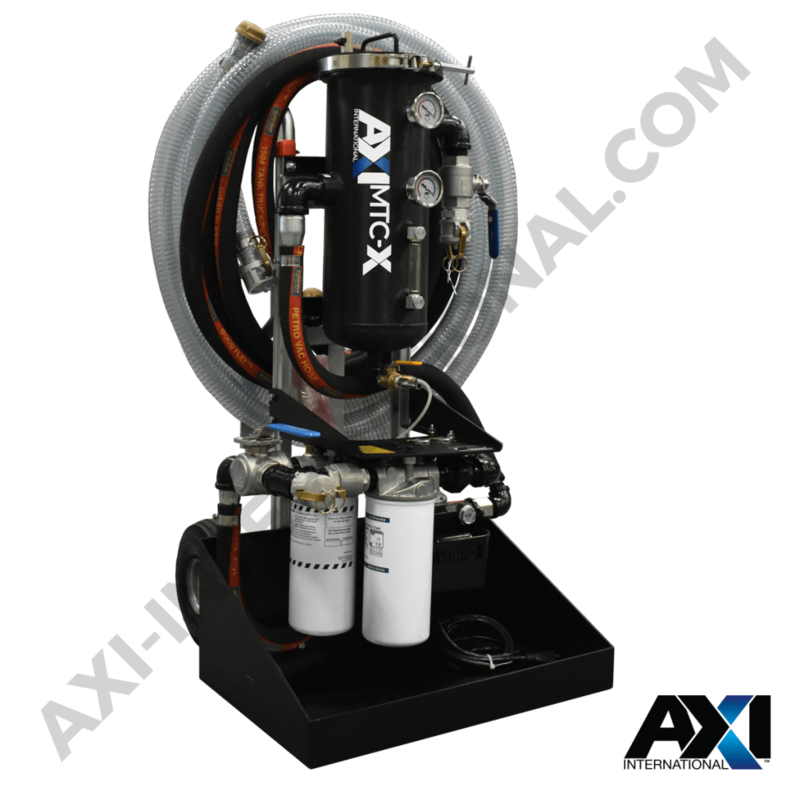 All AXI Fuel Systems are engineered for quality and can be customized to your specifications. 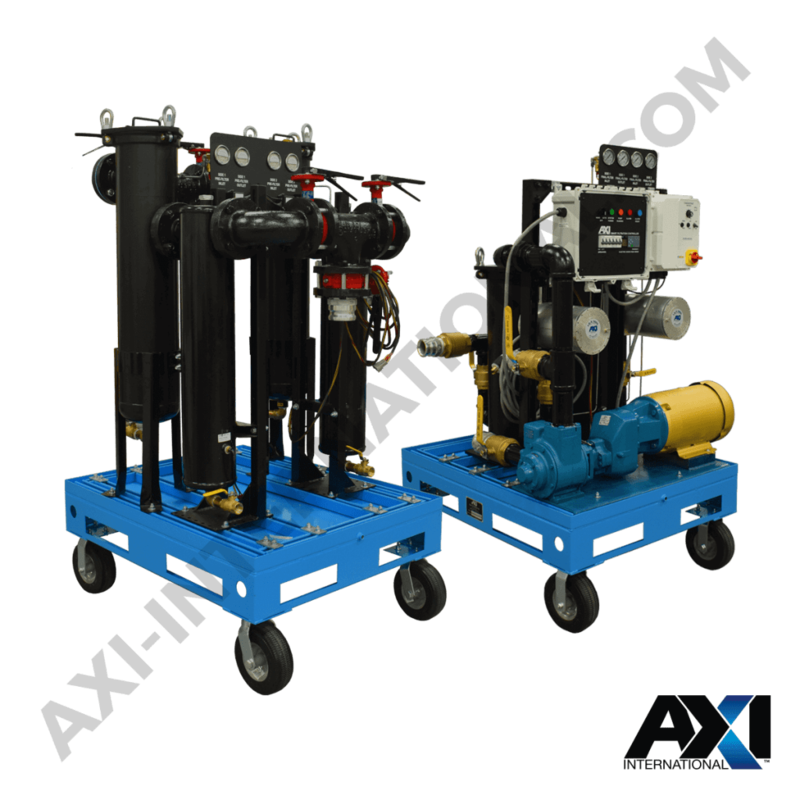 AXI customized Pre-Filter Assemblies have a large contaminant holding capacity to save time and accelerate the cleaning of tanks with large amounts of sludge, rust, scale and sediments. 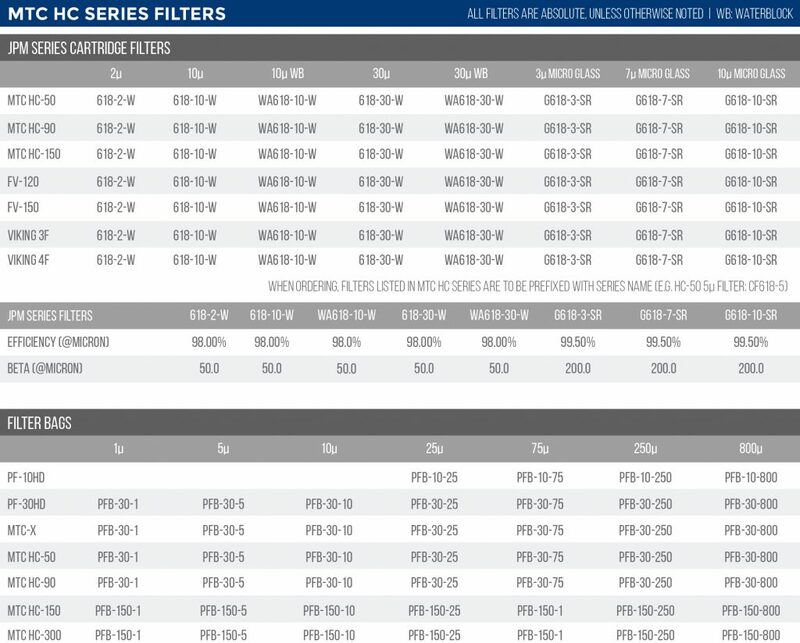 They are equipped with a basket strainer that accommodates a variety of easy-to-replace filter bags from 1-800 micron. 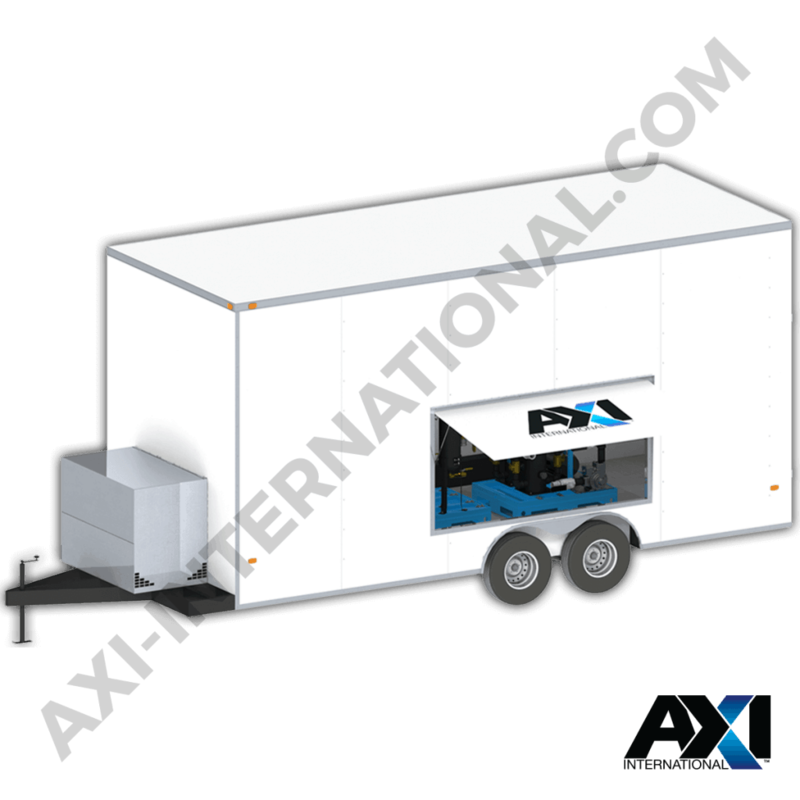 AXI Spill Containment Berms protect the environment and are industrial quality, easy to use and fold up for storage and transportation. AFC-710 Fuel Catalyst is a broad-spectrum tier 4 compliant fuel additive concentrate that enhances the breakdown and removal of sludge, slime, and bio-fouling from tank walls and baffles.